The food is generally really bad for you. If all the food on your plate are differing shades of brown then you probably adhere to a Western-type diet. What can we do to bring greater cardiovascular health to our diet? The prudent thing to do will be to evolve your diet to a more cardiac friendly diet such as the Mediterranean diet, DASH diet, paleo diet, etc. Those that adhere to the western diet have a hard time foregoing all that greasy goodness. How can we continue to enjoy all of our golden brown fried foods while improving heart healthiness? In the previous post, we reviewed some of the history behind the cardiovascular benefits obtained from certain high fat diets. We learned that there are some health benefits extended to omega-3 fatty acids found in certain plant fats and fish oils. Can we have the best of both worlds? Can we enjoy all of our brown food and still have a healthy heart? Can we harness the power of these omega-3 fatty acids? Although these omega-3s come in many shapes and flavors we will focus specifically on fish oil supplementation as it has received the most publicity and market share. It had become clear that there was some cardiovascular benefit to diets based around substances high in omega-3 fatty acids. The next logical step was to see if we could purify these omega-3s to be used as an additional weapon in the war against cardiovascular disease. We thus entered the fish oil revolution. 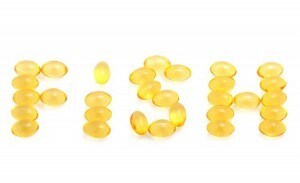 Year after year research directed towards determining the benefits of fish oil was published and year after year the evidence mounted supporting fish oil use. The range of benefits was broad. It seemed to do almost everything. 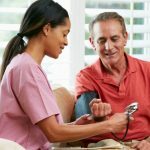 It could decrease the risk of dangerous heart rhythms, decrease the risk of a second heart attack, decrease the risk of first heart attacks, improve blood pressure, improve triglycerides and decrease mortality associated with cardiovascular disease. I believe there may have been a small study that suggested fish oil could improve your credit score. It was so promising that it became fashionable to prescribe. For patients it became fashionable to take. As time went forward something strange started to happen. The studies were no longer all supportive of fish oil. It seemed like every study that said it was a good thing was followed by a study that showed no benefit. Still the potential was so great that we moved forward. On some level, I think as physicians needed it to be beneficial. In 2006, a meta-analysis, a study which combines several smaller studies to create more powerful data showed no clear benefit to fish oil. This really got people going. Scientist argued about why the research was incorrect…”The used olive oil as a placebo and it may have skewed the results,”…”The fish oil dose was too small”… The medical community needed could no longer walk in darkness.., we needed answers. A number of large randomized trials, the pinnacle of medical research, were specifically designed to look at fish oil. Again there has been too much conflict for us to make a conclusive answer but the balance now seemed to be tipping in the opposite direction against fish oil. The GISSI group is an Italian consortium responsible for some of the largest most well recognized clinical trials in the past 20 years. Their landmark trials have been creatively entitled GISSI-1, GISSI-2 , GISSI-3 and GISSI-Prevention. GISSI-prevention was a cornerstone of the pro-fish oil argument. When the benefits of fish oil came into question, the Italians decided to find the answer. In 2013, a study was published in the New England Journal of Medicine from a group that was essentially the GISSI research group. The trial did not carry the GISSI title but was a powerhouse study nonetheless. It may have put the nail in the proverbial coffin of the fish oil supplementation argument. This study followed over 12,000 people for 3 years using doses of fish oil that have been proven to be effective in prior studies. All the patients were at high for having cardiac events. If anyone was going to show improvement it would be these patients. Unexpectedly, there was no difference in major cardiac events between the group receiving fish oil and the group undergoing standard therapy. Similar findings were seen in patients with a previous heart attack in the Alpha Omega trial. Despite the evidence for fish oil being shaky at best, the American Heart Association still recommends eating a diet with at least two servings of fish per week. It cannot hurt you to substitute fish, which is generally healthier than beef or pork, for less healthy sources of protein (like beef or pork). Regarding fish oil dietary supplements, there is no clear evidence of benefit but thankfully it won’t hurt your heart either. chance, and I’m surprised why this twist of fate didn’t took place in advance!